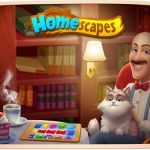 Developed by Zentertain Ltd. and available on both iOS and Android platforms, My Home – Design Dreams is a new, challenging match-3 game that invites players to renovate and decorate their dream home. If you love home decorating, this is the perfect game for you to showcase your creativity. 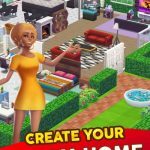 Achieve style points by buying and adding new home design accessories to your room or house, play fun games for coins and credits, and design your own storyline! Below you can find some of the most valuable My Home – Design Dreams cheats, tips and tricks that will help you bring to life your dream house. 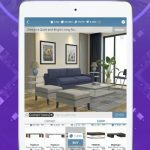 Though at first you may feel tempted to purchase the best and most expensive furniture, it will do nothing but make you run out of money quickly. Be patient and wait until you can actually afford them. If you play hard and you get style points, you will earn your well-deserved money. And then you will be able to buy all the available good stuff. 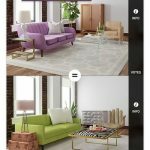 If you can’t afford a piece of furniture or it is blocked, you can always buy a cheaper one and replace it with the one you want at a later stage. However, for cost-effectiveness, it is advisable to be patient and wait until you can afford or you unlock the desired piece of furniture. If you are interested in playing the match-three game solely, you can do that. You can ignore the designs and keep playing level after level, indefinitely. You can use your cash to buy new lives when necessary. If you like a piece of furniture and you have the necessary coins to buy it, all you have to do is tap on it and it will get added. Each time a piece of furniture is placed, you will earn style points. And this basically means that the more style points you manage to get, the more customizable items you will unlock. The levels themselves give you the possibility to blend tiles and achieve special ones. For example, if you make four in a row, you will get a line-clearing tile. If you make a T, L, or + match, you will get a bomb tile. Five tiles in a row will get you a rainbow tile. Two rainbow tiles together will allow you to clear everything. Put two bombs together and you will get a huge one! If you mix two line-clearers together, you will be able to clear lines vertically and horizontally. Mixing a rainbow tile with a line-clearer or a bomb allows you to set line-clearers or bombs on tiles of a specific colour. By mixing tiles you will be able to unlock more houses for you to renovate. However, you can’t unlock a new house until you completely decorate the house you are working on. This wraps up our list of tips and tricks for My Home – Design Dreams. If you think there are other valuable hints we haven’t mentioned in this guide, be sure to drop us a line!